Contains a premium 11 Piece Knife Set. Heavy duty lockable roll knife bag containing an 11-piece knife set. 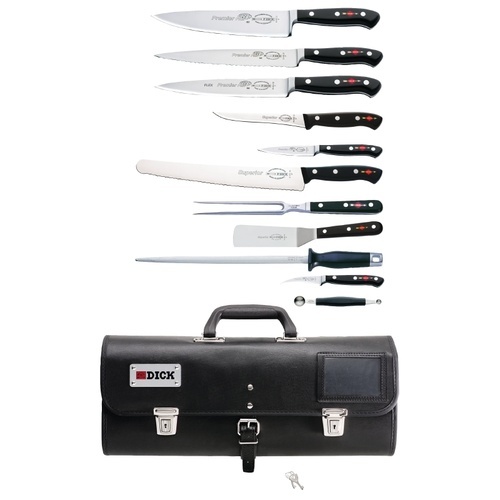 Contains a premium 11 Piece Knife Set.